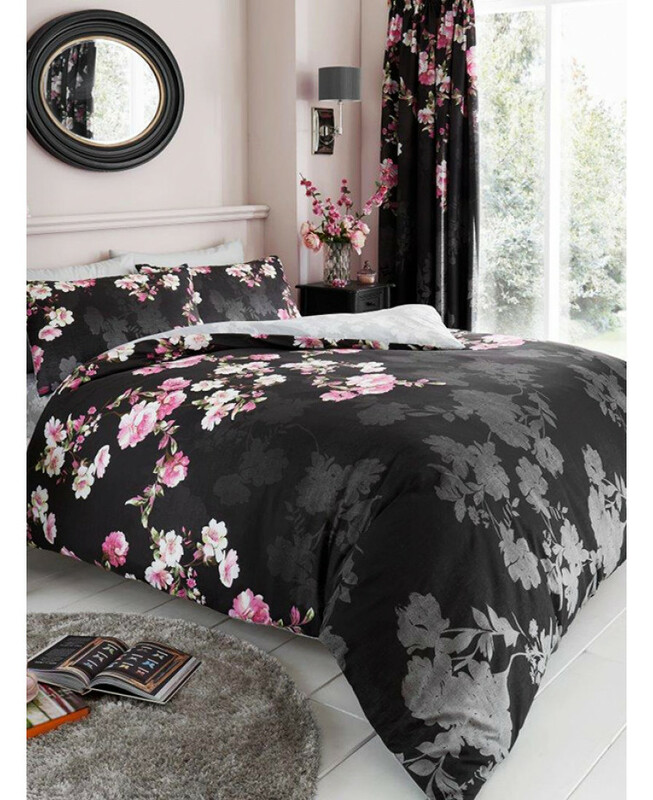 This pretty Roseanne Floral double duvet cover and pillowcase set features a beautiful floral trail design in tones of pink, cream and green and a grey floral silhouette pattern set on a black background. 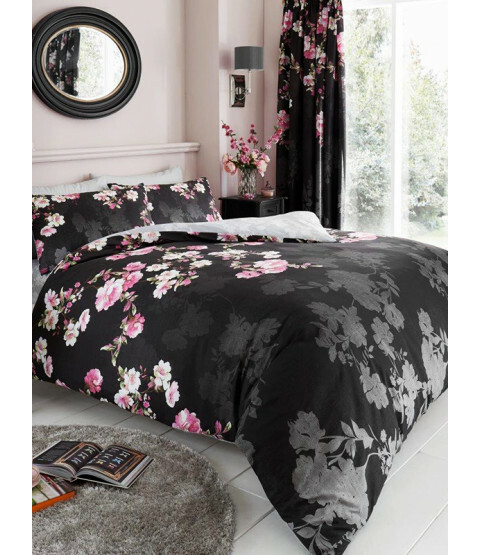 The reverse of the duvet cover echoes the floral silhouette in pale grey on a coordinating light grey background. This bedding set is made from a polycotton blend and can be machine washed and tumble dried on a cool setting.